Reigning ACM New Group of the Year, Old Dominion, will perform their latest No. 1 “Song For Another Time” off their debut album for RCA Nashville, Meat And Candy, on The Ellen DeGeneres Show Friday, January 20. 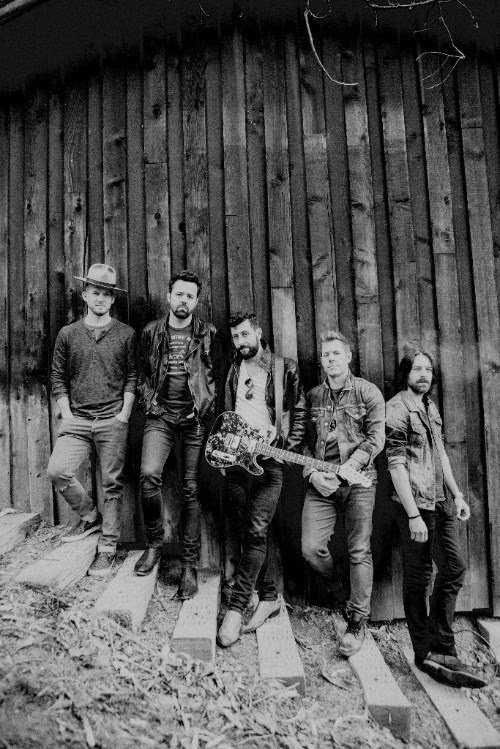 "'Song For Another Time' had been such a big song for us and has opened so many doors for us," said Old Dominion lead singer, Matthew Ramsey. "We are so excited to perform it on Ellen; 2017 is off to an amazing start." With two years of solid touring finally affording them the opportunity, the band’s debut Ellen performance comes just weeks after wrapping their first headlining tour, which boasted sold-out shows in New York, L.A., Chicago, Boston and dozens more. The road-built band, known for putting its fans first, surprised Nashville with a free pop-up show last week (Jan. 12) to thank its fans for an incredible year filled with ACM, Music Row, AIMP and ACCA awards recognition. Later this month, Old Dominion will join Miranda Lambert on her Highway Vagabond tour. Until then, the band is rehearsing before they hit the road and can be found in studio with GRAMMY Award-winning producer, Shane McAnally, (producer of Meat and Candy) working on its forthcoming follow-up album due later this year. For more information and tour dates, visit OldDominionBand.com.